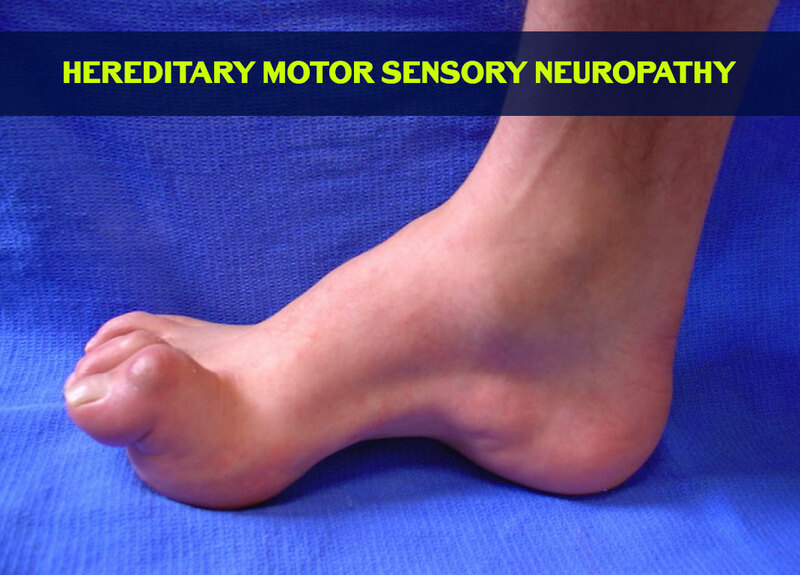 Hereditary Motor Sensory Neuropathy also known as Charcot Marie Tooth Disease or CMT with pyramidal features is a motor and sensory peripheral nerve disorder which is inherited and progressive in nature. It is a group of disorders characterized by a chronic motor and sensory polyneuropathy with demyelination and axonal degeneration. The two common forms of HMSN are either Hypertrophic Demyelinated Nerves or complete atrophy of neutral tissues. Hypertrophic condition causes neutral stiffness and a demyelination of nerves in the peripheral nervous system while atrophy causes the breakdown of axons and neural cell bodies. HMSN usually have onset in early childhood or young adulthood. It is not fatal or life threatening. The disease is known to be hereditary. Chromosomes 17 and 1 are the most common chromosomes with mutations. HMSN occurs when there are mutations in the genes that affect the nerves in feet, legs, hands and arms. The chance of a child getting HMSN is 50% if one parent has it. There is slow distal muscle weakness and atrophy with or without sensory loss resulting in difficulty in walking, numbness, foot drop and foot deformitylike high arched feet and hammer toes/curled toes,frequent tripping and falling, depressed tendon reflexes, muscle cramps, pains and scoliosis. Individuals with CMT shows symmetric, slowly progressive distal motor neuropathy of arms and legs resulting in weakness and atrophy of muscles in feet and hands. Motor symptoms are more predominant than sensory symptoms. Most common symptoms include fatigue, lack of balance, lack of reflexes, lack of sight and hearing. Medical history of the patient and physical examination is done to diagnose HMSN. A complete clinical evaluation is done in order to check muscle atrophy, weakness and sensory responses. The type and severity of HMSN is diagnosed with EMGs (Electromyography) and Motor Nerve Conduction Tests. Nerve Biopsy may also be done. DNA blood tests or genetic testing are also done in specific cases. Ashwagandha Capsules are prepared from the herb Ashwagandha or Winter Cherry. The herb is known to improve body’s ability to maintain physical ability and helps the body adapt to various types of stress. Ashwagandha is a rejuvenate herb that helps in proper nourishment of the tissues particularly muscles and bones. The medicine shows excellent results in debilitating conditions, fighting fatigue, stress, nervous breakdown, anxiety or palpitation. It brings the much-needed strength back to the muscles. Ashwagandha capsules are recommended as a nerve tonic as they help build up physical and mental stamina in the patients. It is recommended for arthritis patients and those with joint pains. Dosage :- The recommended dosage of Ashwagandha Capsules for HMSN patients is 1 tablet two times a day with plain water, preferably after meals. The medicine is safe to be used by growing children or elderly people. The Ashwagandha capsules are 100% vegetarian, free from any additives, chemicals, binders, fillers. Gotukola Capsules are formulated using standardized extract of Gotukola (Centell asistica or Mandookparni). Gotukola supports healthy nervous system. The medicine shows excellent results in fighting depressions, tiredness, lack of energy, slow body movements, pains etc. The product balances all the three doshas of Vata, Pitta and Kapha in the body. It also balances the psychic energies of Satva, Raja and Tamas. Dosage :- The recommended dosage of Gotukola capsules for HMSN patients is 1capsule two times a day with plain waterafter half an hour of the meals. Curcumin Capsules are prepared using best quality herbal standardized extract of Curcumin (Turmeric). The medicine is an excellent remedy for all kinds of inflammatory conditions along with general arthritic conditions, sprains and wounds. Regular usage of Curcumin capsules improves body immunity and general health. Dosage :- The recommended dosage of Curcumin Capsules for HMSN patients is 2 capsules two times a day with plain water preferably after meals. 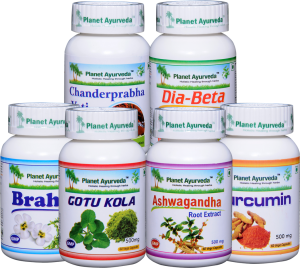 Brahmi Capsules offered by Planet Ayurveda are prepared using natural pure Brahmi (Bacopa Meniere) in extract form. Brahmi herb is known for its positive actions on brain cells. It is also a great remedy for swellings, and irritation induced redness. The regular use of Brahmi Capsules helps in improving strength and immunity. It is an excellent neurological tonic as the chemical compounds of Brahmi improves neuro transmission among brain cells. Dosage :- The recommended dosage of Brahmi tablets for HMSN patients is 1 capsule timetwo times a day with plain warm water. Diabeta Plus capsule is a combination of herbs like Gurmar, Karela, Ashwagandha, Tulsi, Vijaysar, and Saptarangi. All these herbs make Diabeta Plus a complete remedy to rejuvenate the overall health of HMSN patient. The medicine works very well to decrease the fatigue levels. Dosage :- The recommended dosage of Diabeta Plus capsules for HMSN patients is 1 capsule two times a day with plain wateror milk, preferably after meals. Chanderprabha Vati tablets are prepared using herbs like Shilajit, Guggul, Sharkara, Karpoor, Vacha, Mustak, Haridra etc. The medicine is known to exert calming effect on the whole body. The medicine is good for building muscles, strength and stamina without any side effects. It helps in restoring the youth. 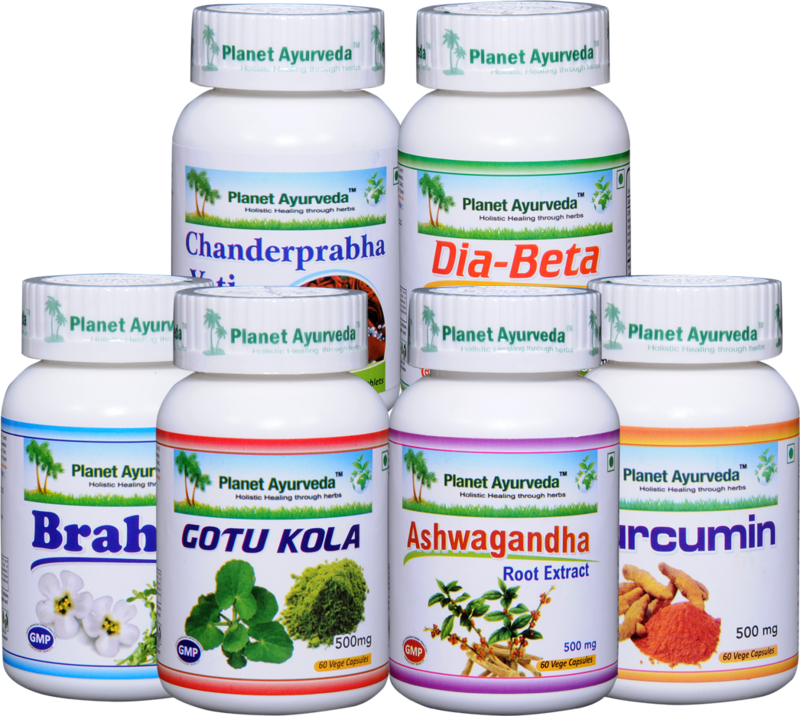 All the products offered by Planet Ayurveda are free from any kind of known side effects. They are prepared using standardized extract of herbs. 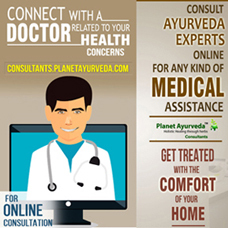 All medicines are formulated by MD Ayurvedic Experts. The effects of herbal preparations are everlasting and natural. A majority of people with HMSN are able to walk with the use of braces. Sometimes orthopedic surgery also helps. Physical therapy, stretching, strengthening are good ways to get some relief. If foot deformities are severe, then corrective food surgery may help to alleviate pain and improve the ability to walk. Tags: Ayurvedic cure, ayurvedic treatment, Ayurvedic Treatment of Hereditary Motor Sensory Neuropathy, causes, Herbal cure, herbal remedies, Herbal Remedies for Hereditary Motor Sensory Neuropathy, hereditary motor & sensory neuropathy, HMSN.